/FAQ /How do I remove the asterisk from the end of a required question? How do I remove the asterisk from the end of a required question? You can remove the asterisk from the end of a required questions by turning off the option shown in the survey settings. This option is active by default. When it is turned off, required questions will still have the exact same functionality, except they will simply no longer show an asterisk after the question text. 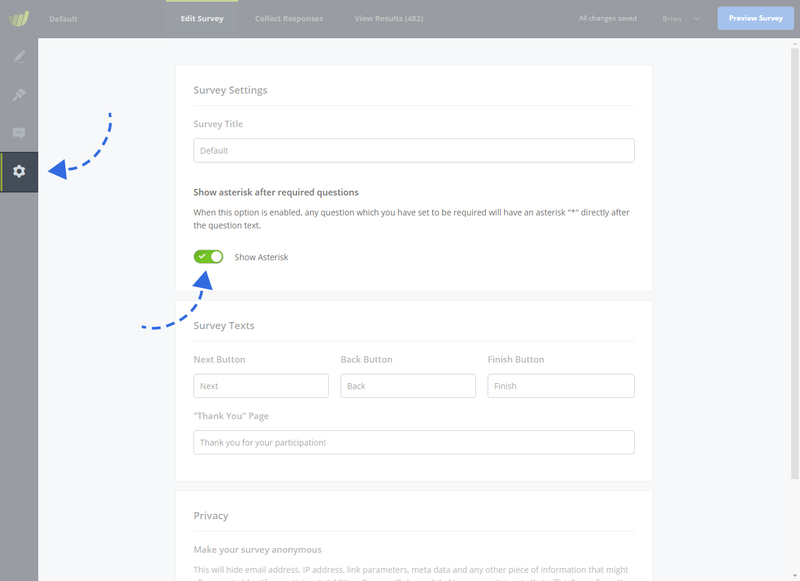 Note: In the survey editor (where you build your survey), the asterisk will always be shown. The above-mentioned option will only take effect in the live questionnaire.